Varda, elegant and powerful star goddess, protects all creatures underneath sky. Her eyes are bright and her skin is sparkling like thousand starts in the sky. She is known for her kindness and indescribable beauty, often coming to the aid of those who cry for help. 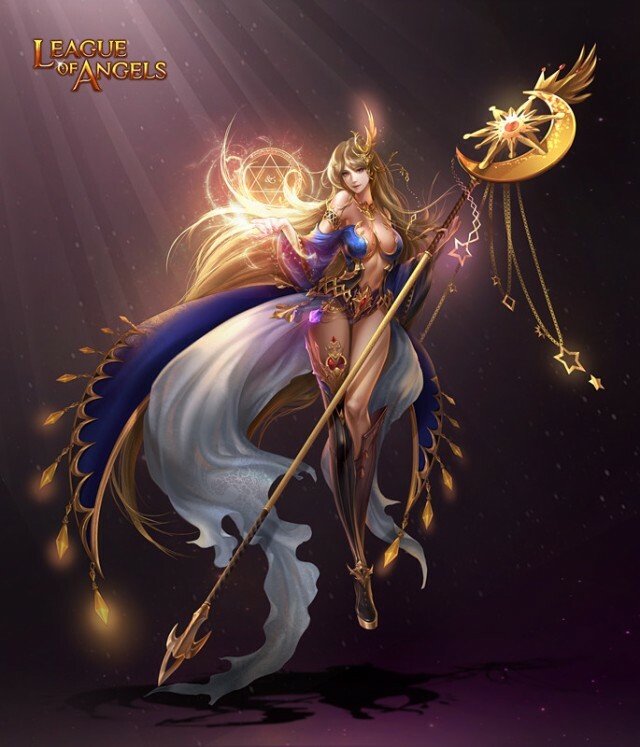 Angel Skill: Deals Magic damage (160% ATK + 500) to all enemies and decreases targets' Dodge by 13% with 100% chance of hitting, lasts 2 turns.